How to reform U.S. gun laws to prevent another Tucson. When Jared Loughner walked into the Sportsman’s Warehouse in Tucson, Arizona, to purchase a Glock 19 on November 30, 2010, he had every right to walk out the legal owner of the semi-automatic handgun. In hindsight, after he used that weapon to kill six innocent people and wound more than a dozen during an attempted assassination of Arizona Congresswoman Gabrielle Giffords, it is easy to question that sale. Given current U.S. gun laws, however, there was no reason to prohibit the transaction. What’s more, even if we changed the specific laws that, in the wake of the shooting, many people are criticizing, Loughner still would have been able to purchase a gun. But that doesn’t mean something can't be done to prevent such tragedies in the future. Indeed, there is one politically realistic step that might have prevented Loughner from making his purchase: Reforming how we deal with the dangerous intersection between mental illness and gun ownership. Many politicians and pundits are criticizing Arizona law as being at the root of Loughner’s ability to commit his crime. One of the more vocal critics has been the man in charge of the investigation into the shooting, Pima County Sheriff Clarence Dupnik. “I have never been a proponent of letting everybody in this state carry weapons under any circumstances that they want. And that’s almost where we are,” Dupnik complained in a recent press conference. The sheriff was referring to, among other laws, Arizona’s 2010 statute that allows gun owners to carry and conceal loaded firearms without a permit—making Arizona one of only a few states with such permissive legislation. But, even if Arizona were to repeal its carry-and-conceal law and the federal government were to ban extended clips, the sad fact is that the Tucson shooting likely still would have happened. For starters, Loughner probably would not have concerned himself much with a state law that prohibits carrying a concealed weapon. He was going to commit a murder, and it’s doubtful someone determined to take lives would be concerned with whether or not he would be violating a much more minor law en route to the scene of the crime. Moreover, even if Loughner showed up with a six-bullet revolver as opposed to a 30-round Glock, he likely still would have shot people. What’s more, a person set on inflicting mass casualties will get around any clip prohibitions by having additional clips on his person (as Loughner did anyway) or by carrying more than one fully loaded weapon (as Virginia Tech shooter Seung-Hui Cho did). To be sure, this doesn’t mean better legislation shouldn’t be enacted, in order to place as many obstacles as possible in the way of would-be criminals. As New York Times columnist Gail Collins noted this week, while the assault weapons ban might not have prevented the Tucson shooting, had it been in place, “we might not have lost a federal judge” and five others. So Arizona should certainly repeal its 2010 law, and Congress should certainly reinstate the assault weapons ban. But the more important legal changes we should seek are those that actually might have prevented Loughner from ever buying a gun in the first place. But that was the extent of public intervention. Loughner was apparently never “adjudicated” as having mental health issues, let alone committed to any institution. As such, he was not prohibited from buying a gun. The problem is that state and national laws are too narrow to catch dangerous individuals like Loughner. When Congress returns, one of the legislative changes it should consider is passing a law that would require all public entities, as well as all organizations that receive public funds, to file a report on any affiliated individuals (e.g., employees or students) that they deem to be public mental health concerns. These confidential reports (which would be provided to the person in question) would then be entered into the Brady database, called the National Instant Criminal Background Check System, and serve as grounds to prohibit immediate firearms purchases. People would ultimately have the opportunity to prove their mental stability and have the reports revoked in a timely manner—but, until then, or if unable to prove stability, they could not walk into a gun store and buy a weapon. Period. 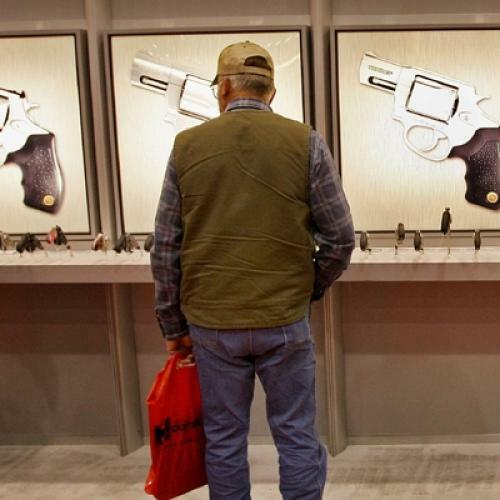 Gun lobbyists are correct when they note that the vast majority of gun owners do not kill. Likewise, mental health professionals are correct when they note that the vast majority of unstable people do not kill either. The combination of these two types of people, however, can be lethal. The Tucson shooting is a disturbing reminder that, as a society, we have to do more to keep those with mental health issues unarmed. Louis Klarevas is a member of the clinical faculty at New York University’s Center for Global Affairs, where he also serves as coordinator of graduate transnational security studies. He can be followed on Twitter at: twitter.com/NYUProf.